Are you a leader of a school or district moving to 1:1? Than this book is for you. It provides a clear roadmap for you and your initiative team members, outlining the questions you, as leader, need to ask, and the actions that will help you find the answers you need. If you are planning to implement a 1:1, BYOD, or 1 to many initiative, don’t start without first reading this guide. Also great for schools looking to revitalize their 1:1 initiative! As you work through #AnytimeAnywhereLearners, you’ll need to develop the answers to many questions, use the links to explore a range of ideas, and build your plan, tailored to your needs and vision. The book is intended to be a workbook, not just a text, designed to encourage you to interact with the text, write your notes, and highlight and check off ideas important to you. 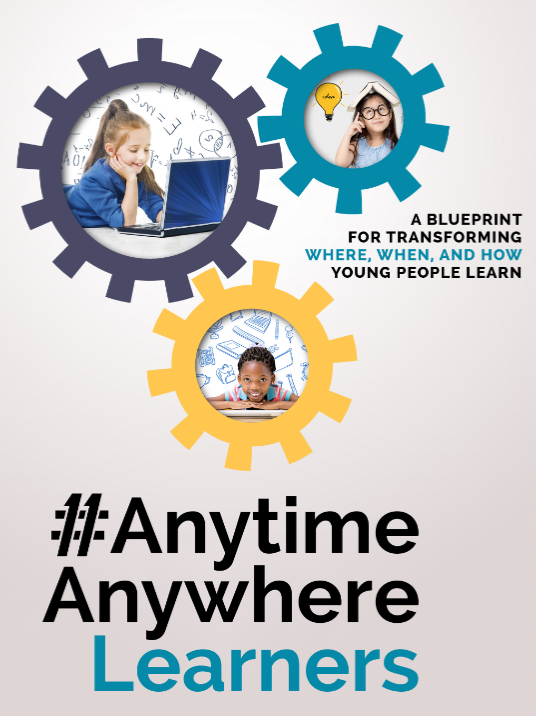 #AnytimeAnywhereLearners also includes a number of Critical Conversations – essays, short articles, and other insights and opinions designed to inform and provoke new ideas, new conversations, and, perhaps, disagreement. They provide additional depth and context for many of the topics you’ll be exploring in this book, as well as important questions that should be considered as you engage in each stage of your initiative. How do you build a modern learning environment, one that unleashes the thinking, doing, and creating opportunities made possible when technology is ubiquitous, personal, and wisely used? #AnytimeAnywhereLearners is the essential guide for leaders of schools and districts seeking to create a learning environment built on the simple proposition that young people will have unprecedented opportunities for learning when they have unlimited access to their own personal, portable, fully functional digital device. Since 1989, not only have individual schools and districts moved to what is often referred to as 1:1, but whole states and, in some cases, countries, have invested in providing their students access to their own personal, portable devices. The #AnytimeAnywhereLearning framework is based on the experiences of thousands of these 1:1 schools around the world and the courageous and committed educators leading them. This in depth guide, with links to hundreds of additional resources, will help you make critical decisions, know the strategic questions to ask, understand what will be required of district personnel and school leadership, and have realistic expectations about what the outcomes will be. Anywhere Anytime Learning could easily have been a tome full of solutions, instead it is priceless provocation providing the starting point to a collegiate conversation.....To me, it is the one book which every technology integrator, let alone school leader, should read and reflect on. The #AnytimeAnywhereLearners framework lays out a road map designed to help you, as district or school leader, determine what you need to know and do at each step of your 1:1 planning and development process. Focuses on the Three Essential Elements that must be in place to build a solid foundation for your 1:1 initiative. Provides ideas and resources to design your infrastructure, determine how to select devices and software, set up support services, and complete all the key actions necessary to put your plan into action. Contains Tools and Resources you will use throughout the planning and implementation of your initiative. 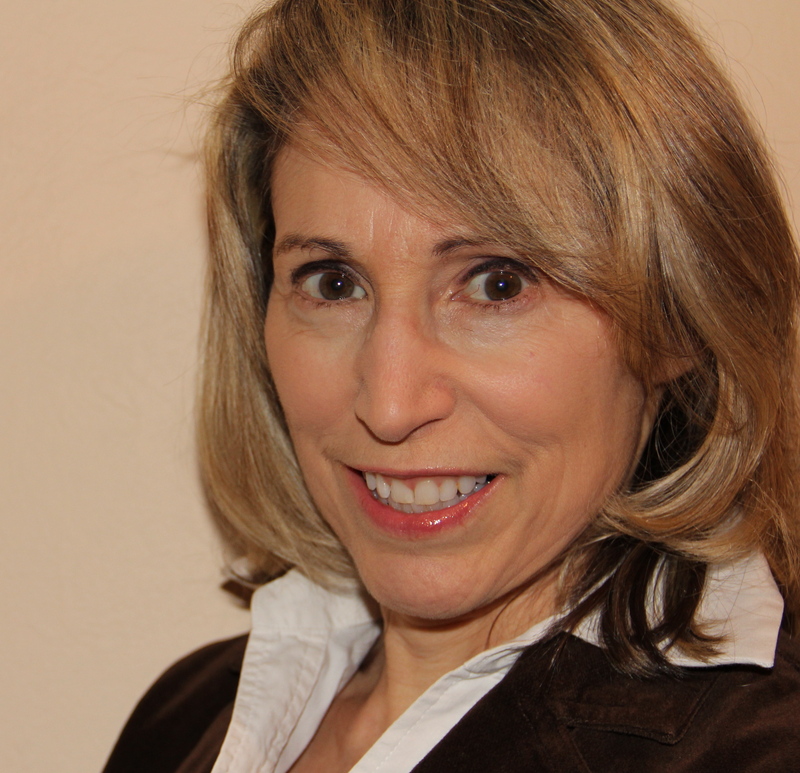 Susan became AALF’s Executive Director in 2007, but her focus on how technology can bring new learning opportunities to all learners began in the early 1980’s. Susan worked for many years at LCSI with technology and learning visionary Seymour Papert, helping develop constructivist education initiatives and products. She authored and edited more than a dozen books for students and teachers on cross-curricular coding projects for PBL classrooms. At AALF, she has led the development of its 1:1 learning services as well as materials to support and build the worldwide 1:1 community. Bruce, consultant to schools on 5 continents and co-founder of AALF, has more than 30 years’ experience working with schools. 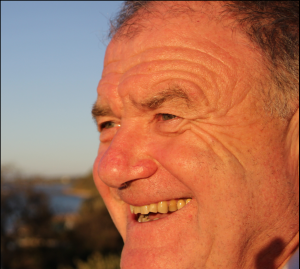 In 1989, this former teacher and principal was instrumental in the establishment and growth of laptop programs in more than 80 schools across Australia. Starting in 1996, Dixon helped bring the concept to North America and was in part responsible for developing the 1:1 movement there. Today he advises ministries of education on how to structure both local and national 1:1 programs around the world. Moving to 1:1? Before you make any purchases, READ THIS GUIDE!